ASJ Max Tape is made of the same material used as the jacketing on the new Owens Corning ASJ Max Fiberglass Pipe Insulation. 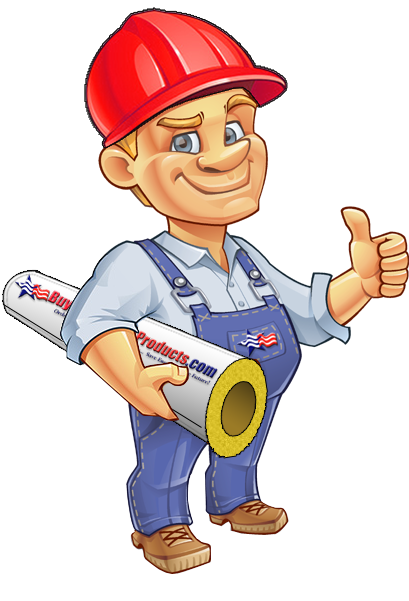 We recommend ordering an extra roll of fiberglass pipe insulation tape for large projects or any pipe insulation jobs requiring numerous cuts between fittings (need extra tape). *ASJ Max 25'er Rolls (25 feet long) are available if 150ft is too much tape. *ASJ Max Tape is manufactured for Owens Corning with ASJ Max paper by tape manufacturers: Venturetape (3M), ShurTape, and Ideal Tape. Great tape for wrapping fiberglass insulation joints! It's easy to work with and I recommend it highly. Use carefully as it sticks to anything it touches. Click the button below to add the ASJ Max Tape to your wish list.